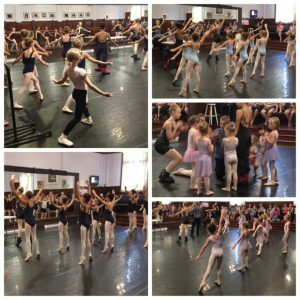 On Saturday, September 12, we held the auditions for the younger ballet students who are hoping to participate in this year’s Nutcracker at the Clarke Theatre. It was the largest & best display yet! From Pre-Primary Ballet and up through the Grades, dozens of enthusiastic ballet students arrived at the Academy to audition for Mr. Carney. It was the largest & best display of students in our 8 years of Nutcracker in Mission! Thanks so much to our wonderful audition helpers: Marin, Ann Li Jie and Priscilla. The Nutcracker will be performed at the Clarke Theatre on Saturday, December 5th. Two special performances for school groups will be presented on Friday, December 4th. Visit our Events Listings for further details on these and all upcoming events. Next Post: First Pointe Shoe Fittings | Always an Exciting Day!